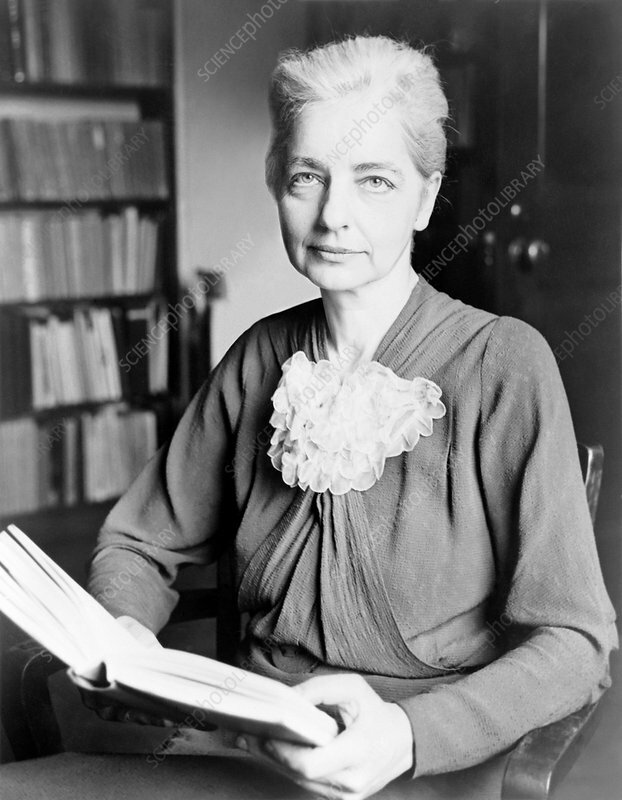 Ruth Benedict (1887-1948), American anthropologist. Benedict's undergraduate degree was in English Literature, from Vassar College, New York, USA. She published poetry under the name Anne Singleton until the 1930s. Benedict studied for her PhD in anthropology under Franz Boas at Columbia University, New York, obtaining it in 1923. She remained at Columbia teaching, gaining full professorship a few months before her death. She is most famous for her idea that culture is "personality writ large" and her belief that a group of people can only be studied against their own background. Photographed in 1937.